Strategic efforts are paying off. HSV has now raised $350,800 of its $355,800 Exterior Restoration goal. Only $5,000 is out-standing! $26,320 is additionally in hand towards a $34,500 Handicapped Access Ramp at the Trustees’ Office and Store, with $8,180 to go. The sweeping, 19-building Exterior Restoration project and the Access Ramp project, both in their final stages, are addressing critical needs and enhancing the visitor experience. A total of just $13,180 is needed to complete the funding of these high-priority efforts, identified in HSV’s master-plan. This is an exciting time in which HSV is positioned once again as a proactive steward of its authentic Shaker site and committed to providing a safer, more accessible visitor experience. The restoration effort began with the Meeting House, but has since gained momentum as the museum successfully competed for significant state and national grants, among them $80,000 from the Massachusetts Cultural Facilities Fund and $50,000 from the Amelia Peabody Charitable Fund. 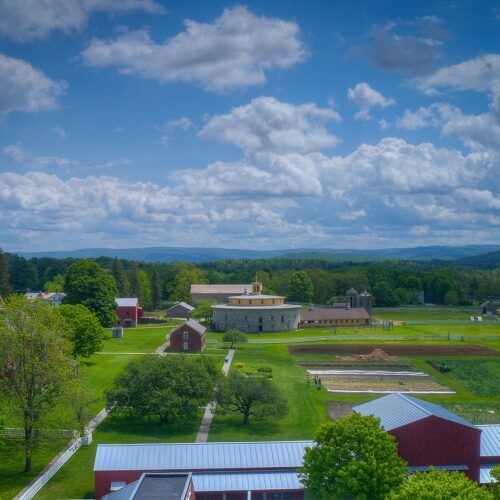 The Meeting House, Laundry and Machine Shop, Trustees’ Office and Store, Tannery, Discovery Barn, Brick Poultry House, Brick Garage, and 12 other structures are receiving attention. For some that means replacing broken panes of glass; a Privy was overhauled to become handicapped accessible public restrooms; others have gotten complete exterior painting or a new roof. We are deeply grateful to the donors who have gotten us so close to our fundraising goal, including 2014 gala “Cause-within-the-Cause” participants, Shaker Seminar and Peer-to-Peer Forum attendees, friends honoring the memory of Robert Quattrochi, and building contractors who have provided in-kind work. The care and assistance we’ve received from these donors has been truly amazing. Please consider helping complete this campaign with a charitable gift today! 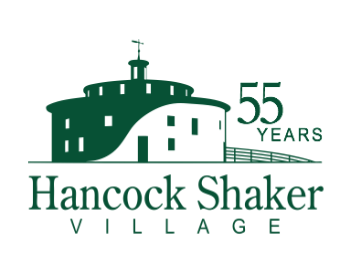 Thank you for your continued support of Hancock Shaker Village. To make a gift by phone contact Maribeth Cellana at 413-443-0188 ext 0.